Good night’s sleep, airport at 6:15 local for 7:30 departure. I was escorted through the various offices for my de-immigration and airport fees. Gas was 1.31 US/liter, the airport fees were $127. I go by the met office to get my briefing, it’s a TAF and metar for destination, and a satellite picture. No winds or radar available, computer is down. I take off 5 minutes late, over the water in 2 minutes. Lots of stormscope activity ahead. There is a haze layer over the Cape Verde Islands that makes it difficult to see the water from 130, and I go into some light convection. I had an initial tailwind, now with quartering headwind 15-25. 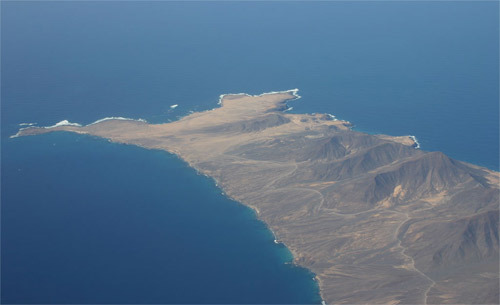 At Fuertoventura, the African mainland is 61 miles at 3 o’clock, just visible. I can see snowcapped peaks in Morocco. (A sad thing about IFR flying is the lack of land info on the charts.) I should get in at 16:30. For once, no GMT conversion. My ears are a little sore, and I’m tired, but my seat is still comfortable, and I’m quite happy. 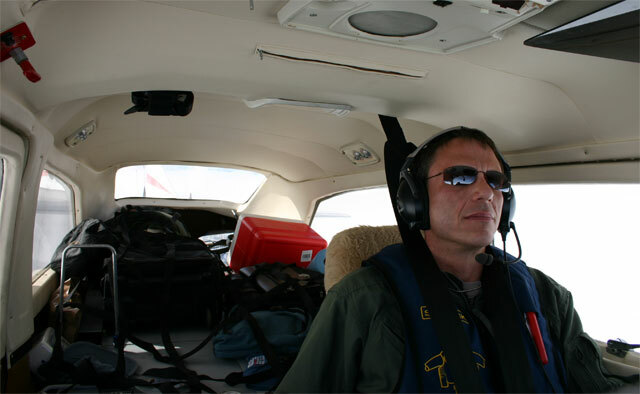 I’m a little worried about flying over hard ground and sharp pointy rocks, again, but I’ll manage. Landing is fine, I get yelled at in French again while trying to park the plane. It gets sorted out, and I walk through customs. It is really different than being in line off a commercial flight. They want to know how I got there, they don’t poke and pry much. In a car to a nice hotel room, and I’m going to sleep soon. Marrakech is a very neat place. Flying along. Lots of room. 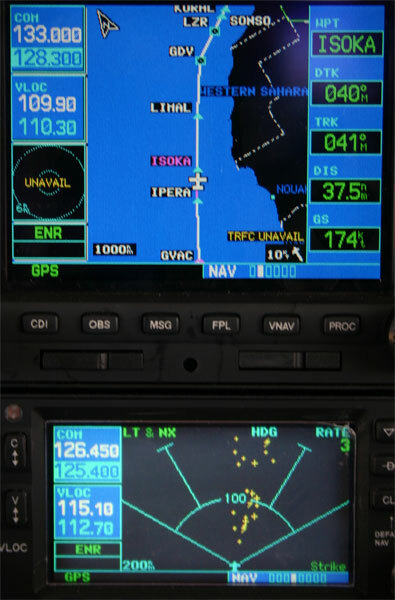 Route was north to "Canarias" FIR then "Casa" FIR. Communications were easy, HF for only the first few hours, then VHF and radar off Morocco in to GMMX. Marrakech, the airport is visible to the right, I'm on final. 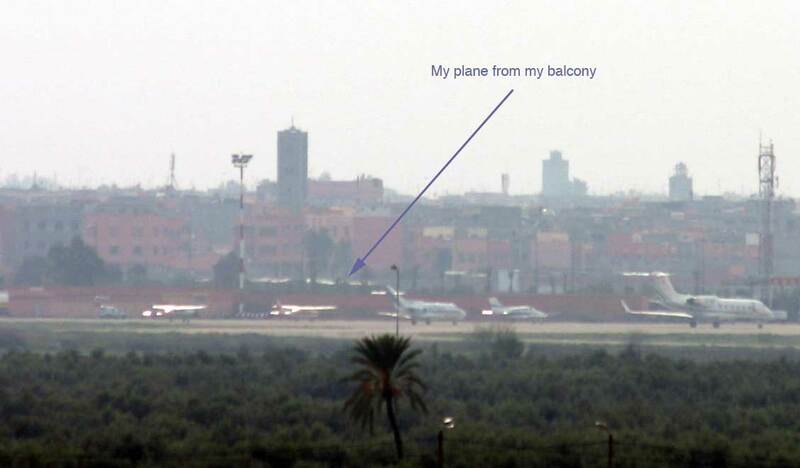 I can see my plane from the balcony of my room!